50% of people have digestive symptoms after having their gallbladders removed. Could digestive enzymes help? Have you been thinking about taking digestive enzymes after gallbladder removal surgery to deal with your lingering symptoms? Not sure if they will really help? 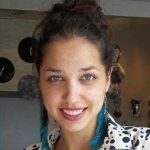 Here, Ana, a nutritional scientist, breaks down the evidence for you so you can make an informed choice! Did you know that the rates of digestion-related disorders are sky-high? Even if you didn’t, it probably doesn’t come as a surprise when you hear it. After all, a sedentary and unhealthy lifestyle is a common picture of modern society. I mean, there is a reason the term “Western diet” is always used in a negative context, but that’s the reality. Our diet — rich in fats and processed foods — leads to all kinds of health complications. Why should digestive complications be any exception? And among the most prevalent digestion-related complications is gallbladder disease. What are the Side Effects of Not Having a Gallbladder? Are There Any Long-Term Risks of Not Resolving Digestive Symptoms after Removing Your Gallbladder? What Can You Do to Ease Symptoms after Gallbladder Removal? Epidemiological studies from the early 2010s estimated that gallbladder disease affects between 10-15% of American adults (which is around 20 to 25 million) at some point in their lives. What’s worse, these rates seem to show a constant increase year after year, with more than a 20% increase over the last three decades. Standard treatment for gallbladder disease is surgical removal of the organ, medically known as a “cholecystectomy”. Although the number of performed gallbladder removal operations is high (800,000 each year), the surgery is not without risks. Upsettingly, around 50% of people don’t see improvement in their digestive symptoms after their surgery. Some even develop new digestive symptoms they hadn’t struggled with before their operation because the operation itself somehow provoked them! Luckily, there is some good news. If you are one of the roughly 400,000 people each year who continue (or start) to struggle with chronic digestive issues after having your gallbladder removed, there are natural ways that can help you ease them! Here, I will give you an overview of the possible digestive complications of gallbladder removal surgery and what you can do to reduce them! Your gallbladder is a pear-shaped organ located beneath your liver. Its main role is to store and concentrate bile — a yellow, brownish, or olive-green liquid that helps you digest fats. Bile is produced by your liver (not your gallbladder!) and flows through small canals, through a channel called “the common bile duct” and into your gallbladder for storage. When the food enters your small intestine, your body secretes a hormone (cholecystokinin), which sends a message to the gallbladder to contract and release the bile. 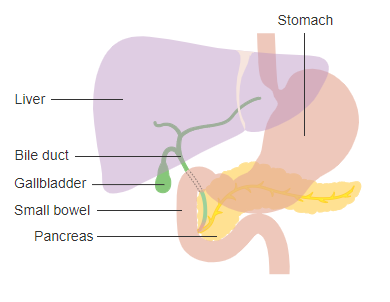 The common bile duct releases the bile into your small intestine to help your body break down all the fat in your meal. preventing new gallstones in those who’ve had multiple gallbladder attacks and, in most cases, stopping the gallstones come back. Unfortunately, for some individuals, gallbladder surgery is not the right treatment option at all and their gallbladder symptoms simply continue to persist after the operation. For others, the surgery triggers new digestive and abdominal symptoms. These potentially long-term side effects of gallbladder removal surgery are commonly collectively referred to as “post-cholecystectomy syndrome”. Let’s now look more closely into the components of the post-cholecystectomy syndrome and what may cause them! Diarrhea, constipation, and flatulence often occur as a result of poor digestion, regardless of whether or not you’ve undergone gallbladder removal surgery. After gallbladder surgery, poor digestion is likely driven by a poor balance of bile acids in your digestive tract. Bile acids are responsible for emulsifying, solubilizing, and carrying the fatty compounds and, thereby, easing their digestion. Since the gallbladder normally stores and concentrates bile acids and releases them when you eat, without a gallbladder, you can become “deficient” in bile acids after your meals. If this occurs, there is not enough bile to allow you to properly digest the fat in your food, which can lead to fatty, loose stools (i.e. diarrhea). In most cases, diarrhea doesn’t last longer than one week after surgery, but it may last several months, especially if dietary restrictions to reduce your fat intake aren’t followed. While diarrhea is more common following gallbladder removal, constipation may occur, as well, as a side effect of medications used to manage post-surgery pain. Gastritis describes a condition in which the stomach lining (mucosa) is inflamed. Inflammation of your stomach lining causes an imbalance in the production of stomach acid and digestive enzymes. This, in turn, causes poor digestion (not to mention all kinds of unpleasant stomach pain). Bile reflux is a condition in which bile, which belongs in the intestines, comes back (refluxes) into the stomach. 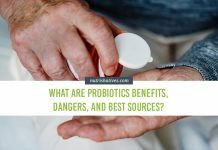 In severe cases, it can even reflex all the way into the esophagus (the tube connecting the stomach and the throat), causing irritation, pain, and inflammation. Dyspepsia, commonly known as “indigestion” or “upset stomach”, is characterized by pain in the upper abdomen. You may also find yourself feeling full earlier than expected when eating. Dyspepsia is a symptom of gallbladder disease that often fails to clear up after surgery. This is a condition that occurs when excess amounts of one compound of bile, bilirubin, builds up in your body. Jaundice is diagnosed with high amounts of bilirubin in your blood. As long as your blood bilirubin levels are too high, you have jaundice. But, typically, people don’t realize they have jaundice until they see it’s a tell-tale symptom in the mirror: a yellowing of the eyes, mouth, and (if jaundice becomes severe) skin. There are many causes of jaundice, but in the case of jaundice following gallbladder removal surgery the cause is typically an injury to the bile duct or leakage of the bile into the body. As I talked about above, bile and bile acids are very important players in fat digestion and absorption. Since healthy fat absorption is necessary for the normal absorption of fat-soluble vitamins, long-term poor bile balance can lead to deficiencies of these vitamins. The fat-soluble vitamins that may be affected are vitamin A, D, K, and E.
IBS is a condition that affects the large intestine. It is characterized by a cluster of digestive symptoms (cramping, abdominal pain, and changes in the bowel movements) that last months or years. According to the existing literature, it is actually not completely clear whether gallbladder removal surgery increases the risk of IBS, or whether IBS is often inappropriately diagnosed as gallbladder disease, leading to unnecessary gallbladder surgeries. One population-based study aimed to address this. The researchers found that among patients that had undergone gallbladder removal surgery there was a two-fold risk of developing IBS, suggesting the surgery may, indeed, act as a trigger for IBS symptoms. This condition (also known as “bile salt malabsorption”) is a dysfunction that describes the imbalance in bile salt circulation. Normally, bile acids are (as you know) produced by the liver, stored in the gallbladder for a while, and then released into the small intestine. After they do their job helping you absorb fat from your food, they are normally reabsorbed and returned to the liver. If you have difficulty re-absorbing your bile acids (i.e. bile acid malabsorption), you end up with abnormally high levels of bile acids in your colon. This keeps your colon from absorbing water properly, which, in turn, can lead to chronic, watery diarrhea (known as bile-salt-derived diarrhea). This condition may last just a few weeks after surgery, but it may persist in some cases for years, potentially causing problems with nutrient and water balance in your body! As one of the members of the Academy of Nutrition and Dietetics’ Knowledge Center Team, points out, there is no standard guideline for easing digestive symptoms after gallbladder removal. Each individual requires a personalized approach in order to obtain the best results. However, there are a few dietary tips that everyone who’s undergone gallbladder removal surgery can follow to help minimize and resolve their symptoms. Foods rich in fat can be a bit heavy for people’s digestion even with normal bile release! So, it’s no wonder that it can be particularly problematic after gallbladder removal surgery. 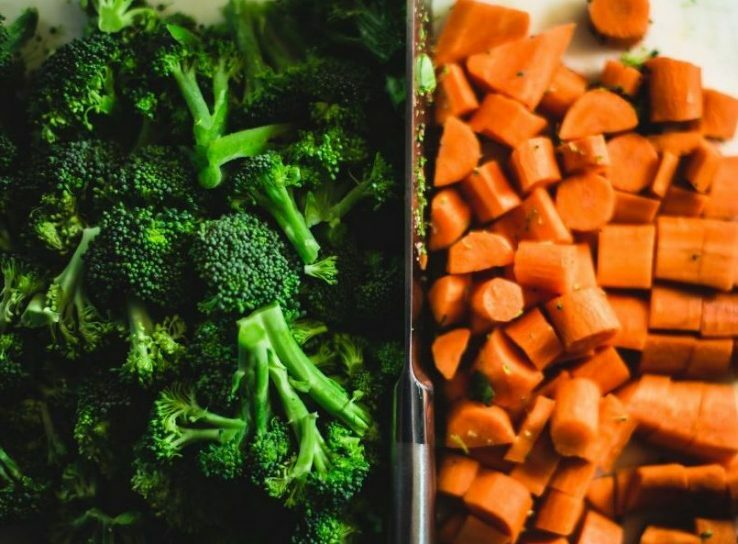 Some vegetable oils tend to be problematic after invasive surgeries, like gallbladder removal, because they can promote inflammatory processes inside your body. This can make recovery after surgery even more difficult. Note: store-bought products are made with these oils can also be problematic, such as mayonnaise and salad dressing. To replace these oils in your diet, opt for oils rich in omega-3 fatty acids instead, such as extra virgin olive oil. Don’t overload your stomach and eat smaller portions. Simpler and smaller meals are always easier for your stomach to digest and can reduce the number and severity of your digestive problems. Fiber is great for digestion because it aids bowel movements and protects your overall bowel health. Epidemiological data suggest that it may even prevent you from developing gallstones in the first place. Unfortunately, some types of fiber can trigger gas, cramps, or bloating for some people. So, while you should definitely include fiber-rich foods in your diet, it’s a good idea to start with smaller quantities to avoid potentially making your digestive symptoms worse. 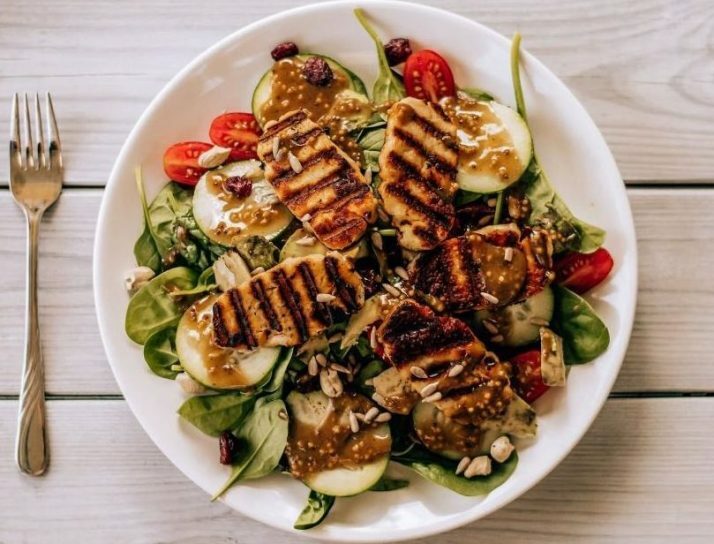 If you face bloating issues more often than reflux and dyspepsia, check out this guide on foods to avoid and to bone up on in order to reduce bloating! 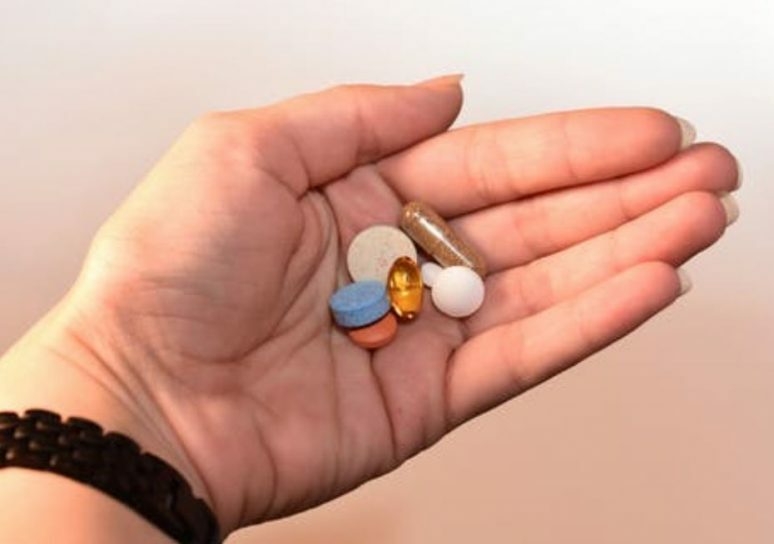 Although there is no direct evidence that recommends digestive enzyme therapy to ease digestive disorders after gallbladder removal, there is ample data that suggests that these supplements may be helpful in reducing some of the gastrointestinal symptoms associated with the surgery. complete pancreatic digestive enzymes are the preferred treatment for steatorrhea – diarrhea caused by poor fat absorption. The combination of available evidence suggests that if you are struggling with chronic digestive symptoms after gallbladder removal, digestive enzymes may offer you some relief. Digestive enzymes are protein compounds that have a very specific function within your body — to help you better digest and absorb the foods you consume. They do this by adding molecules of water into the structure of your food and breaking down the chemical bonds present within complex food molecules. By doing this, they actually break up the complex molecules into smaller building blocks, which your body can absorb and use. Your body naturally makes these enzymes and uses them as part of the digestion process. You also get lots of digestive enzymes naturally through your diet. There are many foods rich in digestive enzymes, such as pineapple, oats, and papaya. 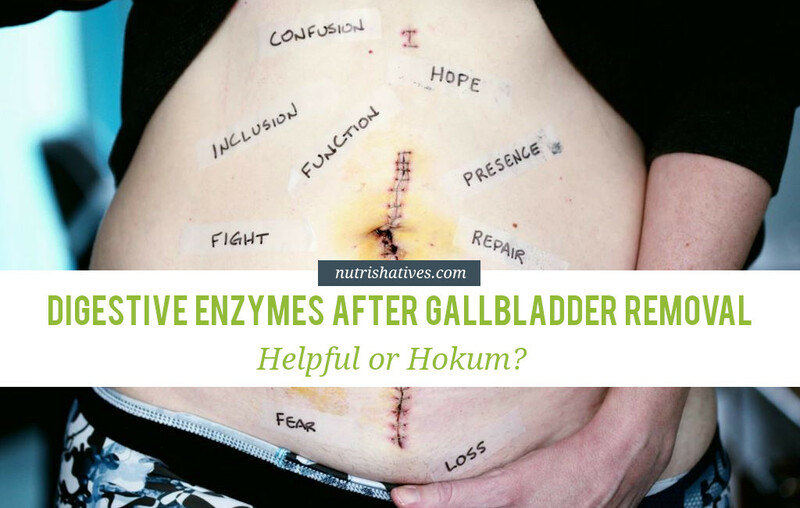 However, when we’re talking about specific digestion problems after gallbladder removal, you may want to opt for digestive enzymes in the form of supplements! Digestive enzyme supplements contain higher doses of very specific digestive enzymes that will likely make it easier to target your symptoms, specifically, and start seeing results. For most people, digestive enzymes are quite safe. And when we talk about safety, I am specifically referring to the supplemental, not the food form of digestive enzymes. (If you are not allergic to that specific food, it is completely safe to consume digestive enzymes as part of your diet). take warfarin (or another blood-thinning medication). A specific enzyme, bromelain (a protease), may lead to enhanced bleeding if you take it with certain blood thinners. Bromelain possesses anti-clotting properties, so you may want to avoid it during menstrual periods, as well, because it can lead to excess bleeding. are allergic to ingredients used in the preparation of the supplement. Pay attention to the ingredients used for the production of digestive enzymes. If you are allergic to some of the foods used for the extraction of the enzymes, or to some other compounds used in the production of the supplement, you may be at risk for an allergic reaction. are pregnant. There is not much evidence about the possible effects of digestive enzymes on women or babies during pregnancy. Until we have more data, it’s better to be on the safe side and avoid them completely. If aren’t on warfarin, allergic to any ingredients, or pregnant, it is likely completely safe to give a digestive enzyme supplement a try. Just take care to follow the recommended doses. 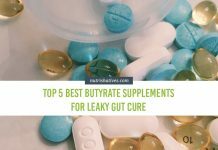 Unfortunately, if you search the scientific literature for the best digestive enzymes for easing digestion issues after gallbladder removal, no studies come up. To the best of our knowledge, no clinical trials have been done on this topic at all. Nevertheless, I looked at the clinical trial evidence from related conditions (IBS, dyspepsia, fat malabsorption, pancreatic insufficiency, etc.). I also looked into the manufacturer’s guidelines, and the personal experiences people have shared online. 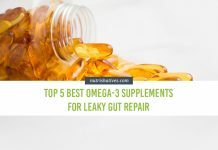 Using the information I found, I put together a list of five supplements that are likely to help ease digestive symptoms after gallbladder removal surgery. This product has an average rating of 3.1 stars on Amazon. It is an animal-based (head’s up vegetarians and vegans!) that’s been coated to prolong the enzymatic activity in your digestive tract. Each capsule contains ox bile, pancrelipase (pancreatic protease, amylase, and lipase), and adenosine triphosphate (ATP) that work together to ease intestinal discomfort and facilitate healthy digestion. The producers recommend it to those on a gallbladder treatment diet and those who have had their gallbladders removed. This supplement is not specifically made for treating gallbladder problems but people report it being very useful for supporting digestion after gallbladder removal. Fifteen people have ranked this product with an average of 4 stars on Amazon. It is plant-based (read vegan and vegetarian-friendly!) and contains a mixture of amylases, protease, and lipases. This supplement has a 4-star ranking on Amazon. Although not clearly stated in the product name, personal anecdotes online report this supplement really helped them after gallbladder operation. Renew Life Adult Digestive Enzyme contains a blend of all three digestive enzyme types and some additional digestion-promoting ingredients. Importantly, this supplement is made from plant sources, which means that will be more resistant in the acidic environment in your stomach and it is suitable for vegetarians and vegans. This is one of the digestive enzyme supplements which customers recommend after taking it specifically after gallbladders removal surgery. The majority (83%) of them gave it a 5-star rating. This supplement is a mixture of all three types of digestive enzymes, plus it contains additional bile salts that should aid fat absorption. This mixture should boost your body’s ability to digest fats, fiber, protein, and carbs as well as cellulose and gluten and, hopefully, seriously improve your digestive health. Though it doesn’t have a lot of reviews on Amazon, the wider public reviewed this product on other websites to acclaim. It is, again, a plant-based product and it contains amylases, lactases, cellulases, proteases, and lipases. It is also the only product on our list that passed clinical testing! The clinical trial looked at 40 patients suffering from functional dyspepsia, in a randomized, placebo-controlled trial. The researchers concluded that 50 mg of this supplement for 60 days eased all dyspepsia symptoms without any side effects. So, while not specifically tested on those who’ve had their gallbladder removed, there is a good reason to suspect that if your gallbladder surgery is causing chronic indigestion, this supplement may be worth a try! As you may have noticed, all the supplements above contain similar compounds, just in different ratios. It’s up to you to investigate and figure out which one is the best fit for you and your symptoms! It’s always the best to consult with the doctor and get a precise clinical and lab evaluation before starting any new supplements. The rate of gallbladder disease has been showing a steady increase year after year. If you want to make sure you don’t contribute to that statistic in the future, think about your lifestyle habits now. Change the bad ones and boost the good! It may happen that, despite your best efforts, you do end up needing your gallbladder removed and continue experiencing digestive difficulties afterward. In that case, take your health into your hands to relieve or eliminate the symptoms! And it actually may not be that hard. Just be disciplined in applying the necessary diet modifications and support the healing process with adequate digestive enzyme supplements! Struggling with digestive issues and interested in supplementing for your gut health? Let a food scientist help you choose.